The executive team of the newly formed Plant Protein Alliance of Alberta (PPAA) has some pretty lofty goals. One of them is total world dominance. “I’m being a bit facetious here,” chuckles CEO Dennis McKnight, “but why ask for just one piece of the pie – why not the whole pie?” There’s no reason, he says, why Alberta and the other two prairie provinces shouldn’t be the dominant players in the fast-growing world market for plant-based proteins and value-added crop ingredients. Alberta already has at least 15,000 crop farmers, growing canola, wheat, pulses, lentils, peas, hemp and more. What the province hasn’t got is a strong crop-ingredient processing industry, a situation PPAA has set out to change. McKnight and Hall are hard at work convincing Alberta farmers, entrepreneurs, investors, economic development offices and government officials that the time is right for Alberta, and the two other prairie provinces, to become global leaders in plant-based ingredient processing. Although PPAA was only incorporated in May and is just now getting its governance, long-term funding and membership drives underway, their work has been going on for at least three years. Now that’s it’s incorporated, what is the PPPA’s role? Membership in the alliance will be broad-based, including commercial interests, farm organizations, universities and colleges, economic development groups, banks and investors. Commercial interests will dominate the board of directors. Strategic partners include the Alberta government (which has provided start-up funding), similar organizations in Saskatchewan and Manitoba, the federally funded Protein Industry Canada (PIC), existing processing firms, the investment community, universities, colleges and research organizations. The alliance’s focus will be on business-to-business opportunities, mainly involving small- and medium-sized enterprises. Why have the Prairies had so many great growers, but so few crop processors? McKnight, who grew up on a farm in Saskatchewan, believes prairie farmers in generations past didn’t have the entrepreneur mentality. 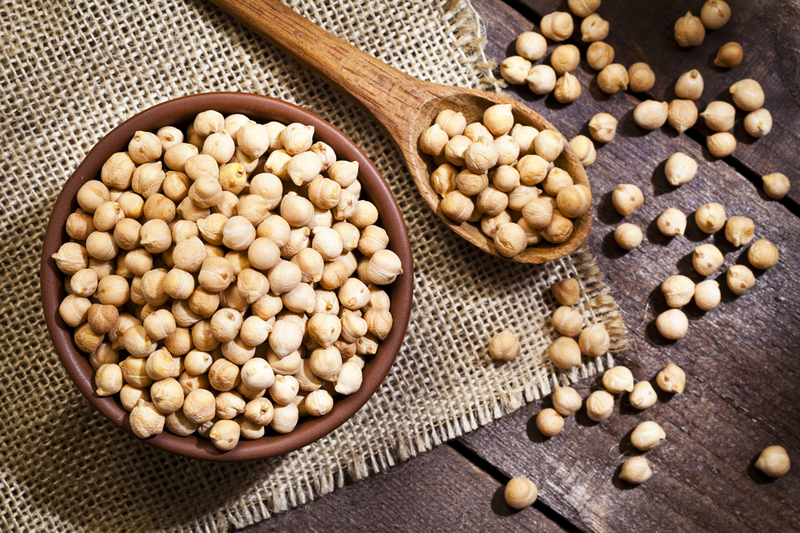 Why is processing plant-based protein at source such a big deal now? 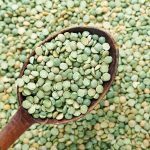 According to statistics quoted in Canada West Foundation’s 2017 study Sprouted: The Plant Ingredient Opportunity Taking Root on the Prairies, the current global plant-based protein market is estimated at $8 billion US and is expected to grow to $14.8 billion by 2023. And by 2023, human consumption of plant-based protein is expected to nearly double. About 70 per cent of the protein market is now served by the livestock industry, says Hall, with 30 per cent from plant-based proteins. But there has been a significant push from consumers, driven mostly by Europeans, for a diversification of protein sources, with huge interest in food and other products (health care, beauty products, pet food, etc.) made from plant ingredients. PPAA is working to encourage start-ups in Alberta who will use novel processing techniques. What does that mean? The basis for this huge opportunity is fractionation, a processing technology that breaks plants into protein, starch and fibre fractions for use as ingredients in food processing. Once you have broken apart the seeds, you can use the various parts – not just the proteins – as different ingredients for a wide range of products. Working with their partners in Manitoba and Saskatchewan, PPAA hopes to see at least five fractionation plants of different sizes built on the Prairies over the next five years. A huge pea fractionation plant is already being built by French investors in Portage la Prairie, Man. Five plants would require hundreds of thousands of acres of crops and would result in hundreds of new highly skilled, well-paid processing jobs on the Prairies. One of PPAA’s initial jobs will be to offer support to companies and to understand what is truly holding them back and what help they need to succeed. Why has the PPAA partnered with the other prairie provinces on this initiative? If Alberta wants to become a global leader in plant-based proteins and other crop-ingredient processing, it can’t do it alone. It makes sense for this to be a prairie-wide initiative because all three provinces grow the same crops and share the research and development infrastructure in universities, bioscience facilities, and food and crop research centres. PPAA has committed to collaborating with Bioscience Association Manitoba and Ag-West Bio of Saskatchewan on trade missions, marketing, and co-ordination of other initiatives to grow the plant-protein and ingredient industry across Western Canada. PPAA is the Alberta regional partner with Protein Industries Canada (PIC), a new organization tasked with encouraging investment in plant protein and ingredient processing across the Prairies, with product commercialization aimed at the global market. The federal government announced significant funding earlier this year for the Protein Industries Supercluster after evaluating 50 competing applicants for supercluster projects across the country. In addition to the $153 million in federal funding, PIC and its partners have raised $150 million in venture-capital money and $200 million in industry funding. Like PPAA, PIC will not build processing plants, but will act as a sparkplug, supporting commercialization, R&D and market development in the plant-protein industry. Unlike PPAA, it will focus more on attracting large multinationals. McKnight, Hall and other partners across the Prairies are largely responsible for plant-protein processing being named one of the federal government’s much-coveted superclusters. They put 18 months into convincing the federal government that this opportunity was worthy of funding. Keri Sweetman, a former section editor at the Edmonton Journal, is a freelance writer and editor.